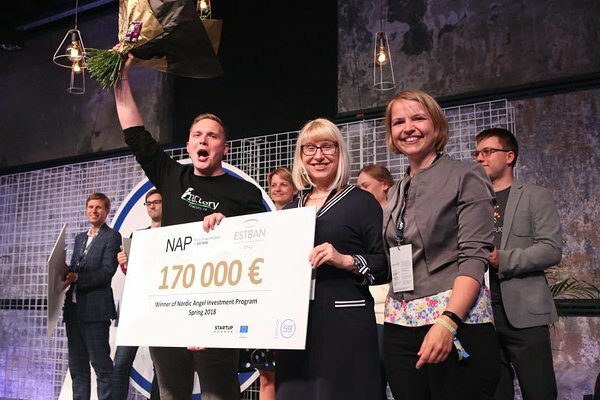 The winner of the cross-border angel investment through Nordic Angel Program by EstBAN was announced on the stage of Estonia's largest startup festival Latitude59 on May 25. The joint investment capital of €170k was put together by 34 angel investors from Estonia, Netherlands, Belgium and Saudi Arabia and in total, 105 startups applied for the funding. Fractory.co, takes purchasing the services of sheet metal treatment to a new level, where ordering the service and paying for it only takes a few minutes. The team developed an automatic quotations, ordering and delivery platform for laser cutting services, bringing together manufacturers and service providers. In the framework of the Nordic Angel Program, 15 of the best start-ups of the competition pitched their ideas to the business angels, of whom four were singled out for further in-depth analysis. In addition to Fractory, the other companies that reached the final round of the competition were FoodDocs, CENOS and StandByMate. The angel investors continue negotiations to also offer investments to those companies. The Nordic Angel Program takes place twice a year under the leadership of EstBAN. Startups and business angels will have a new opportunity to apply for the program already in September.